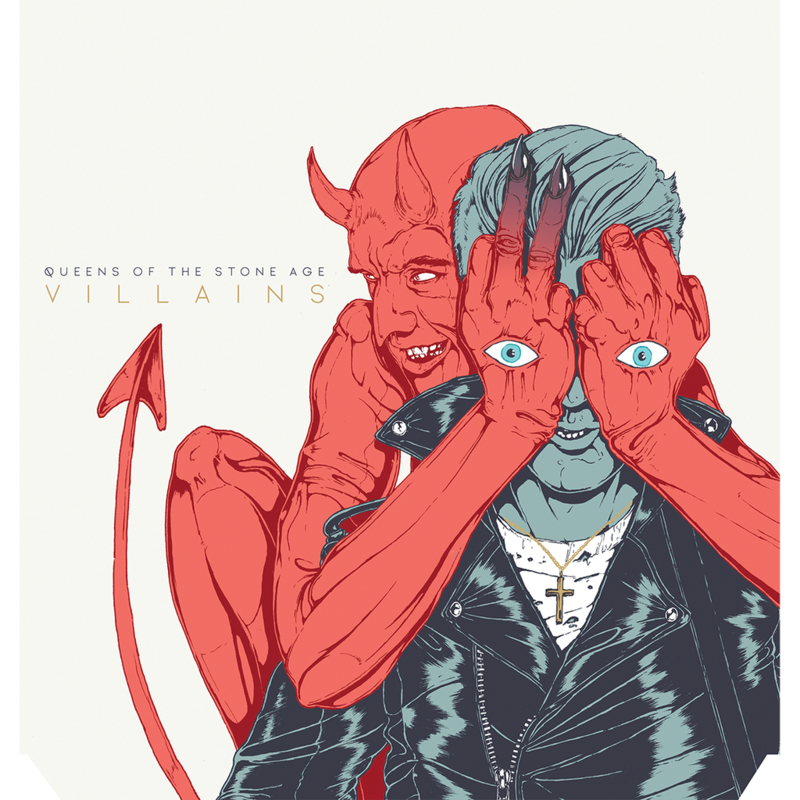 Produced by Mark Ronson and co-produced by Mark Rankin and mixed by Alan Moulder, Villains is the first full album offering from Queens Of The Stone Age since 2013's ...Like Clockwork gave the band its first #1 album in the U.S. Like the stunning artwork of returning illustrator Boneface, the sonic signatures of the lineup that took ...Like Clockwork around the world and back are as unmistakable as ever, though coexisting with sufficient new twists to induce recurring double takes. As Homme himself puts it, "The most important aspect of making this record was redefining our sound, asking and answering the question 'what do we sound like now?' If you can't make a great first record, you should just stop - but if you can make a great record but you keep making records and your sound doesn't evolve, you become a parody of that original sound." Of his role working within such a closed and confident ecosystem as Queens Of The Stone Age, Ronson says, "Queens are and have always been my favorite rock n roll band ever since I walked into Tower on Sunset and bought Rated R in the summer of 2000, so it was incredibly surreal to be welcomed into their secret, pirate clan - or the 'jacuzzi' as Josh likes to call it. There were moments during the making of the album in which I was aware I was watching my musical heroes craft something that was sure to become one of my favorite moments on any Queens album. And to have some part in that felt like being in a dream--a very heavy, dark, wonderful dream." There's some cool guitar work from what I heard but the whole thing is just too soft. "Are you a *real* villain?" "Well.. 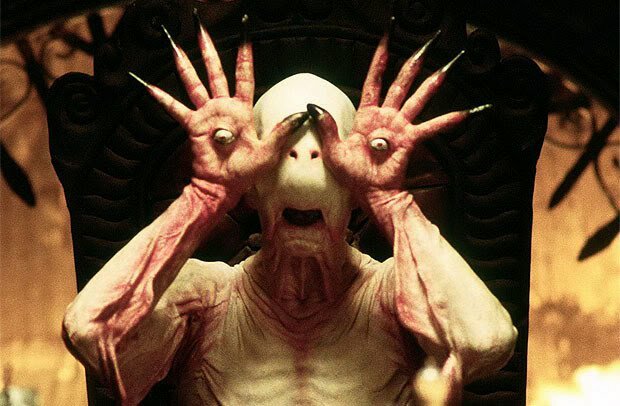 Uh, technically.. Eh... Nah"
Artwork ripped off from Pan's Labyrinth. I gave this my first listen and the only good song seems Villains of Circumstance at first. I'm certain I've seen it done in one of Clive Barker's paintings, and I'm sure it's older than that, too. I've been digging this album quite a bit lately, but just don't expect the heaviness of the early records. It feels like a pretty logical progression from "...Like Clockwork" to me. Seen a lot of hate for this album, but actually enjoying it a lot and bought the limited edition vinyl. They're never going to outdo their first three albums, but this one is their most consistent in a while and also the first in a while where I'm not disappointed about it essentially being the Josh Homme Band. At my work a guy ordered 2 of these. That was my first indication that the band had released a new album. So the same day I had them play the album at work and man that first song hooked me. Never got to give it a full listen yet but the tracks I heard made me like it. +1. Getting better in my second or third listen. This rules. Just like the previous one. I loved Clockwork. This one has that progressive sound to it - that everything sounds the same. Every song has the same tone and vibe and feeling. I would give it a few more tries but nothing really stands out as far as tracks or specific songs.